Death and Identity. By Robert Fulton, New York, New York, Wiley Publishing, 1965. For the Living. By Edgar N. Jackson, New York, New York, Channel Press, 1965. The Funeral: Vestige or Value. By Paul Irion, Philadelphia, PA, Fortress Press, 1968. Grief and Grief Management: Some Reflections. By Erich Lindemann. Journal of Pastoral Care, volume 30, 1976. The Attending at the Funeral. By Patrick Irvine. New England Journal of Medicine. Volume 312, 1985. Access to the dead: the role of relatives in the aftermath of disaster. P. Dix. Originally printed in The Lancet, 1998;352:1061-1062. Bodies in Motion and at Rest. By Thomas Lynch. New York, New York, Norton, 2000. Living with Loss, Healing with Hope. Rabbi Earl Groffman. Beacon Press, 2000. The Value of Viewing. By Doug Manning. The Dodge Magazine, March, 2001. Journaling through Grief. By Tamara Tabel. Personal Journaling, December 2001:51-53. Healing Grief. By Victor M. Parachin, Chalice Press, 2001. The Annual Cost of Despair. By J. Zaslow. Originally printed in the Wall Street Journal, November 20, 2002. Bereavement Care: Seeing the Body. By F. Haas, Nursing Standards, volume 17, 2003. The Long Good-bye. By Vicki M. Payne. NY Times March 10, 2003. Bringing Back the Dead, Photographer Captures a Harlem Undertaker’s Art. By Alan Feuer. NY Times, January 22, 2004. Grievers Ask: Answers to Questions about Death and Loss. By Harold Ivan Smith, Augsburg Fortress Press, 2004. When a Friend Dies: A Book for Teens About Grieving & Healing. Marily E. Gootman, Free Spirit Publishing, 2005. Why Disposing of the Dead Matters to the Living. By Somini Sengupta. NY Times February 24, 2005. Children at the Deathbed. By K. Baltzell. Originally published in the YB News (Beyond Indigo 2005), July 2005. Foundation to Target Youth Suicide through Columbia University TeenScreen Program. Originally printed in YB News, August 2005. Ignoring a Death. Kelly Baltzell, MA. Originally printed in YB News, August, 2005. Misconceptions about Grief. Victor M. Parachin. Originally printed in The Director, August, 2005. Will We Ever Arrive at the Good Death? By R.M. Henig. Originally published in the New York Times, August 7, 2005. After Life, For a woman left behind after her husband’s death, life can become a labyrinth of questions. J. Didion. Originally printed in the NY Times Magaines, September 25, 2005. A Learnable Practice, cultivating hope during bereavement. V. Parachin. Originally printed in The Director, October 2005. An Argument Against Direct Cremation. J. Van Rensselar. Originally printed in The Director, October 2005. One Year to Live. K. Baltzell. Originally printed in YB News, October, 2005. Good Night. Ten ways for grievers to get a better night’s sleep. Victor M. Parachin. The Director, December, 2005. In the Rear Window, Tributes to the Dead. A. Engel. Originally printed in the NY Times, December 11, 2005. Do’s & Don’ts. Kelly Baltzell, YB News, January, 2006. Nothing Takes the Place of Touch. Doug Manning, The Dodge Magazine, January, 2006. Two Decembers: Loss and Redemption. Anne Marie Feld. NY Times, January 29, 2006. Call me if you need anything and other things not to say. Harold Ivan Smith. Death’s Door, Modern Dying and the Ways We Grieve. Sandra M. Gilbert. North & Company. Surving the death of a sibling –living through grief when a adult brother or sister dies. TJ Wray. The empty chair: handling grief on holidays and special occasions. Susan J. Zonnebelt-Smeenge and Robert D. DeVries. The orphaned adult: understanding and coping with grief and change after the death of our parents. Alexander Levy. The Year of Magical Thinking. Joan Didion, Alfred A. Knopf Press, NY. When your family pet has died: helping the children. K. Baltzell. YB News, March, 2006. Perception is reality. D. Manning. The Dodge Magazine, March, 2006. I wasn’t ready to say good-bye: surviving, coping and healing after the sudden death of a loved one. Brook Noel. Modern Dying and the Ways We Grieve. Sandra M. Gilbert. For the Families of the Dying, Coaching as the Hours Wane. J. Gross Originally printed in the New York Times, May 20, 2006. Dying was the best thing that ever happened to me: Stories of Healing and Wisdom Along Life's Journey. Dr. William E. Hablitzel. Talking to the Elderly About Dying. Kelly Baltzell, originally printed in YB News, July, 2006. Unresolved and Conflicted Grief is a Variable in forms of Anti-social Behavior. Originally printed in YB News, July, 2006. Children and Loss. Victor M. Parachin. Originally printed in The Director, July, 2006. After Death Mapping the Journey. Sukie Miller and Suzanne Lipsett. All of Us: American Talk about the Meaning of Death. Patricia Anderson. On Grief and Grieving. Elisabeth Kubler-Ross and David Kessler. Helping Questions. K. Baltzell. Originally printed in YB News, September, 2006. Grief and Mourning: Expressions to help us heal. J. Johnson, Originally printed in The Dodge Magazine, September, 2006. Giving and Grieving. Victor Parachin. Originally printed in the Director Magazine, October, 2006. What is Normal? Kelly Baltzell. Originally printed in the YB News, October, 2006. The Gift of Aftercare. Sherry Williams. Originally printed in the YB News, October, 2006. The Empty Space. Kelly Baltzell. Originally printed in the YB News, November, 2006. Used pacemaker could keep someone else ticking. Jim Ritter. Originally printed in the Chicago Sun-Times, November 27, 2006. Life is Not a Spectator Sport. Todd Little. Originally printed in the International Cemetery & Funeral Management, December, 2006. Left Behind. Victor M. Parachin. Originally printed in The Director, January 2007. Why People Need Rituals. Todd Van Beck. Originally printed in ICCFA Magazine, January 2007. Ghost in the Dream. Dinah Lenney. Originally printed in The NY Times Magazine, February 18, 2007. What Grieving People Have to Say. Kelly Baltzell. Originally printed in YB News, March 2007. A Final Cocoon. J Wadler. Originally printed in the New York Times, November 11, 2010. Flavoring the Gravy: Elder Grief. J Johnson. Originally printed in the Dodge Magazine, Fall, 2010. Helping Man's Best Friend. A Hunter. Originally printed in the Dodge Magazine, Fall, 2010. The Death of An Elderly Parent. Rabbi E. Grollman. Originally printed in the Dodge Magazine, Fall, 2010. Men in Grief Seek Others Who Mourn as They Do. P. Garfinkel. Originally printed in the NY Times, July 26, 2011. Balloons, Cracked Eggs and Dead Worms: Helping Small Children Understand Death. J. Johnson. Originally printed in The Dodge Magazine, Fall 2011. 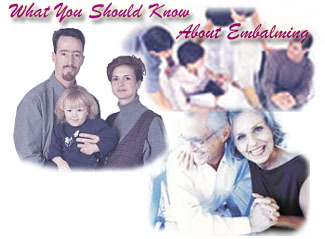 Funeral Directors and End-of-Life Decisions. Rabbi E. A. Grollman. Originally printed in The Dodge Magazine, Fall 2011. The First One to Touch. D. Manning. Originally printed in The Dodge Magazine, Fall 2011. In 9/11 Remains, Grief Anew. Originally printed in the New York Times, November 13, 2011. Mourning in a Digital Age. B. Feiler. Originally printed in the New York Times, January 15, 2012. Choosing our final resting place. J. Atlas, originally printed in the New York Times, February 29, 2012. The Gift of Aftercare. S. Williams, originally printed in the YB News March, 2012. The Ultimate Death Symbol. A. Wolfelt, originally printed in The Director, April, 2012. There's Something More. After-death communication. J. Johnson, originally printed in the Dodge Magazine, Spring, 2012. Sometimes Even Grownups Want to Fuss, Muss, Cling and Cry: Supporting Grieving Children. J Johnson. Originally printed in the Dodge Magazine, Fall 2012. Teens and Grief: I'm Standing Tall! J. Johnson, originally printed in the Dodge Magazine, Winter, 2013. House of Death. A Reisman, MD. Originally printed in the New York Times, June 2, 2013. Making the Right Call, Even in Death. LK Altman, MD. Originally printed in the New York Times, July 2, 2013. A Picture in Words. D Manning. Originally printed in the Dodge Magazine, Summer, 2013. Cheryl Denelli Righter, The Donor for a Very Unusual Transplant. R. M. Henig. Originally printed in the New York Times Magazine. January, 2014. Will I Ever Be The Same? Rabbi E.A. Grollman. Originally printed in the Dodge Magazine, Winter, 2014. A General Redefines Mourning. H Seligson. Originally printed in the New York Times, March 23, 2014. Helping after a suicide. Rabbi E Grollman. Originally printed in the Dodge Magazine, Spring 2014. Dying Well. I Byock, Md. Going Home. Jon Katz, Random House. Good mourning: getting through your grief. Allen Hugh, Jr.
Healing the Hurt Spirit: Daily Affirmations for People Who Have Lost a Loved One to Suicide. Catherine Greenleaf. Inside the Broken Heart. J. Yarbrough. Life on the Death Beat. A. Baranick, J Sheeler, S. Miller. Marion Street Press. Love Cemetery: Unburying the secret history of slaves. C. Galland. Harper-Collins Publishers. Mortal Remains. The dead are no longer welcome at their own funerals. So how can the living send them on their way? Thomas Lynch. From the Good Funeral by Thomas Lynch and Thomas G. Long, Available Autumn of 2013.